It has been a busy time in the world of combat sports. A week after Chuck Liddell and Tito Ortiz tried to revive their dead rivalry, Tyson Fury came back from the grave in the 12th round of his heavyweight title fight against Deontay Wilder, setting a new world record for resurrection turnaround time. While Wilder-Fury is rightly being hailed as a classic, the Liddell-Ortiz trilogy fight was much-maligned — and for good reason. It was a ridiculous premise in the first place; it was only competitive by technical definition; and it was aesthetically gross. There were also negative sides to it. The resounding conclusion of the farcical fracas seemed to be that age is more than just a number. 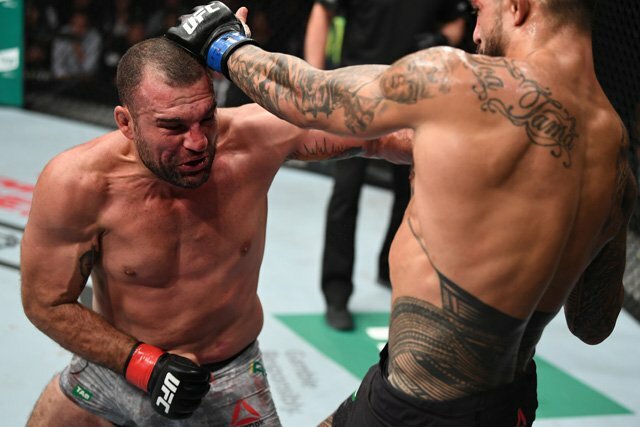 Combat sports cannibalize the old, offering them as blood sacrifices to the gods of promotion and nostalgia, often in order to build faux hype for up-and-coming attractions. It was no surprise then that UFC President Dana White’s stern condemnation of the Liddell-Ortiz fight left MMA fans scratching their heads when a bout between Israel Adesanya and Anderson Silva was announced. Adesanya is an undefeated, 29-year-old kickboxing phenom; Silva is an aging G.O.A.T. who has one dubious win in six years. Don’t even get me started on the booking of another B.J. Penn fight. At a point, it starts to become irresponsible to continue allowing older fighters to compete. Perhaps the only redeeming factor of the Liddell-Ortiz fight was that both men were old. The long-term and often delayed consequences of combat are serious, and those risks only compound after 40 years of living, especially when a significant portion of that time has been spent accruing brain trauma fighting professionally.